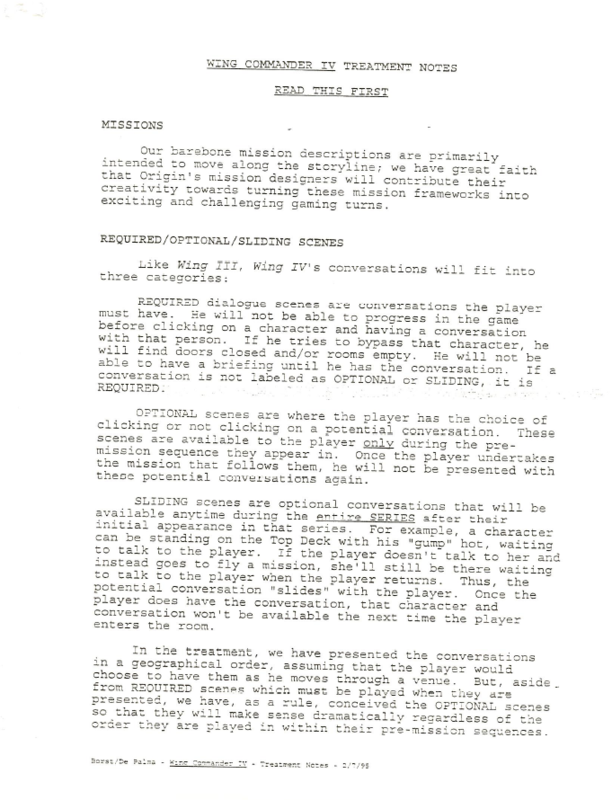 This 88 page document walks through the entire story of the game, as it was originally conceived... and fans will immediately notice some significant difference! 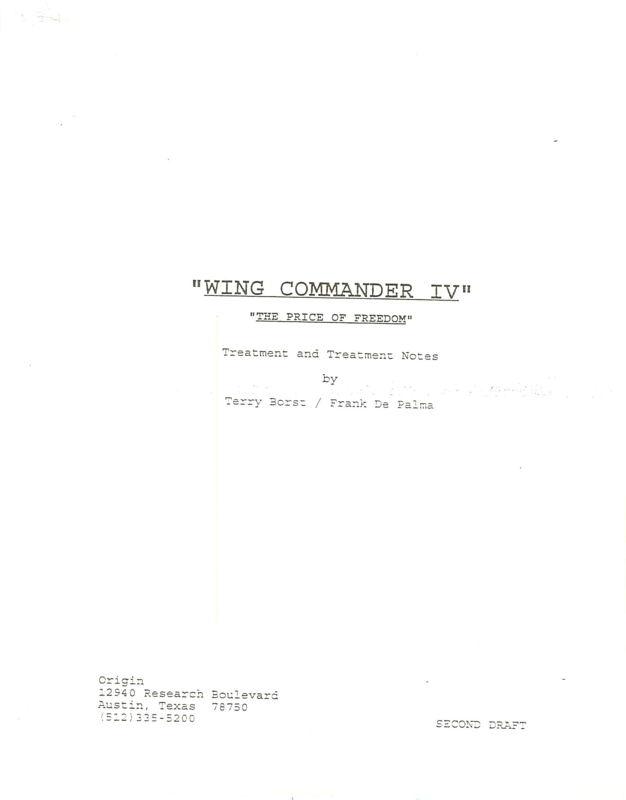 Instead of two halves (on the Lexington and then the Intrepid), this early version was divided into three parts: it opens with an extended segment where Blair serves as part of a planet-based squadron on Nephele! That's not all -- each section has new characters, too... Nephele, for instance, includes Cmdr. Tyla Braverman and Chief Tech "Mutt" Malone. 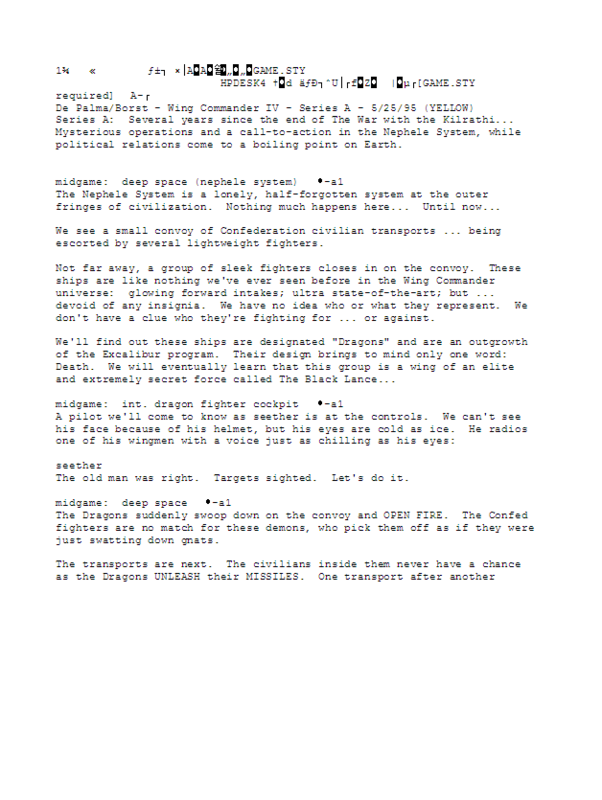 Origin actually posted a copy of the script for download at their official website in 1996. The .doc files themselves are formatted for an earlier, more WordPerfect age... but you can still read the text!